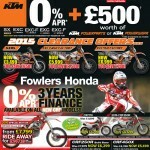 New low rate finance available on pre-owned motorcycles! Starting in December, our pre-owned motorcycles are available on a new, low-rate finance offer of just 9.9%! 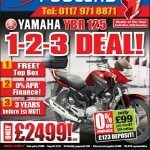 A wide variety of machines are available to suit every budget, and in every style – from cruisers to sportsbikes! For all our pre-owned motorcycles, head to our website or give us a call on 0117 977 0466 – or pop in this weekend for a browse! This entry was posted in Offers, Pre-Owned and tagged December, finance, offer, pre-owned on 01/12/2016 by Fowlers News. Our latest deals and special offers hot off-the-press! Interested in any of these deals? Call 0117 9770466 to be put through to one of our dedicated sales team who will be happy to answer any questions you may have. 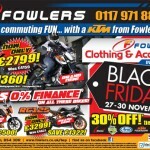 This entry was posted in Black Friday, Honda, New Bikes, Offers, Pre-Owned, Yamaha on 25/11/2015 by Fowlers News. 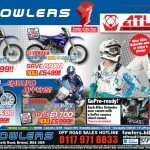 Fowlers Used is changing and will now be known as Fowlers Pre-Owned, but it’s far more than just a change in name. Fowlers Pre-Owned marks the introduction of the Fowlers Pre-Owned Approved Promise, created to ensure all customers benefit from skills and knowledge built up over nine decades. Every Pre-Owned bike you purchase from Fowlers will be subject to a strict 45-point safety check with all worn parts below standard replaced prior to you riding away. Regardless of budget, machine and age you can rest assured it’s covered by our industry-leading scheme for your complete peace of mind. 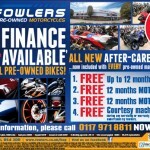 The Fowlers Pre-Owned Approved Promise includes; a 12 month MOT*, a free MOT test fee for the following 12 months*, a free courtesy motorcycle for any servicing work undertaken*, a 7 day exchange policy* and up to 12 months, full, comprehensive market leading warranty*. To find out more, visit the new site, FowlersPreOwned.co.uk. *Subject to status, conditions and availability. This policy does not affect your statutory rights. 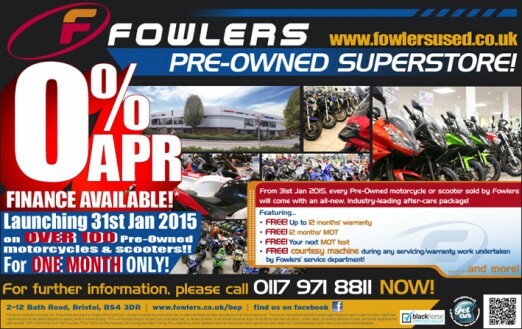 For full details visit our store and pick up a Fowlers Pre-Owned Brochure. 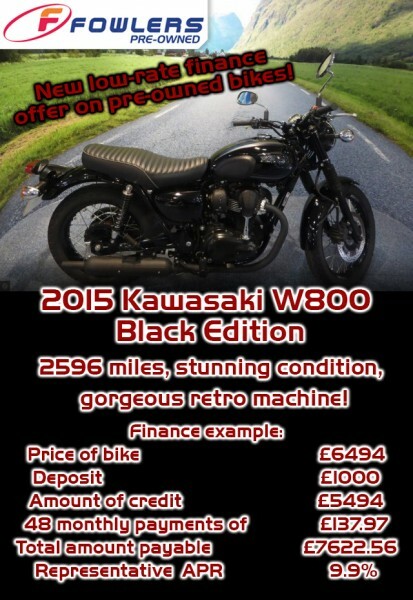 This entry was posted in News, Pre-Owned on 21/01/2015 by Fowlers News.